email campaign: a tool of effective marketing Web! Your email campaign: a tool of effective and targeted marketing Web! Our E-mailing services aims to be simple and functional: from a structure to create by ourselves (pricing following the contents of your emailing) and whose an owner you are, we offer you a solution of emailing free. Once the template of your digital news letter to create you are free to change the contents of your emailing and to send it several times in the year to your targets. You can also create various lists of contacts (prospects and customers for example) and manage since a reassured on-line access the periodicity of sending of your marketing e-mailing. The emailing can contain photos, of the video, the sound, the texts it is a real tool mutli-media. The e-mailing (one of the tools of marketing Web) is the electronic version of the mailing / traditional mailing. It makes left the methods of E-Marketing. It is used to communicate massively or in a very precise way towards a predefined target. - The broadcasting of a more institutional information (Objective of image/de fame): invitation in an event, a participation in a trade show, an information about its business, the current events of its business sector etc. Whatever is the objective of the e-mailing through a regular electronic news letter he allows to consolidate two points: the development of customer loyalty of your customers (by a regular information on your products, services, evolution of company and the prospecting for new clients. It also aims at sending back the Internet users towards your own Web site so that they find an information more compléte and a detailed presentation of your products and services there. The undisputed advantage of the e-mailing is its moderate cost: the e-mailing is much more accessible than other supports such as the mailing. He allows besides to personalize his message (in the object or the contents) in a automated way. The constitution of your database will allow you to master totally the profile of your addressees. Attention it is advised to update regularly your database to limit the decrease of files e-mails. Through your emailing you "call out" to the Internet user who is going to follow your links and to discover your products and services. He can if necessary make you requests of information and return in touch with you via this emailing. 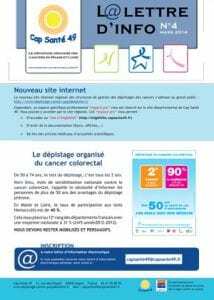 A travers votre emailing vous "interpellez" l'internaute qui va suivre vos liens et découvrir vos produits et services. 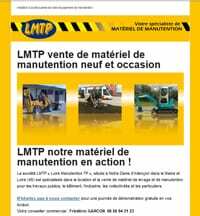 Il pourra le cas échéant vous faire des demandes d'information et rentrer en contact avec vous via ce emailing grâce au "clic to action". Our tool of emailing includes a follow-up of your campaign. Via your platform of administration you reach numerous indicators allowing you to analyze the returns and the impact of your e-mail campaign. You go to be able to know the number of open e-mails, the number of transfers of e-mails and the number of clicks to follow so the behavior of your addressees. Our expertise in communication allows us to couple your emailing with the other traditional methods of the Direct Marketing, as the publishing mailing, the faxing, the phoning as well as the Marketing Mobile. The marketing by SMS. Our studio Desjeux Créations of communication realizes all communications tools (print and digital) and accompanies you upstream on the communications strategy adapted to your problem.